Visit Putra Mosque to see one of the city's important places of worship, built to accommodate a congregation of 15,000. 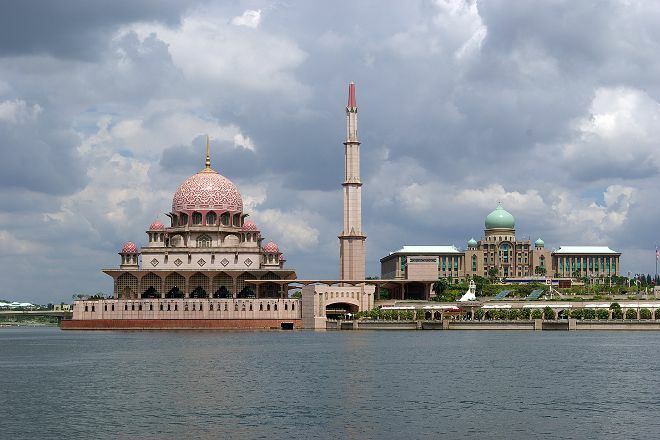 Constructed using rose-tinted granite, the mosque's nine pink domes attractively punctuate the main building, with the reddish hue reflecting in the surrounding waters of Lake Putrajaya. Inside, the domes represent neat examples of deeply intricate Islamic patterns above a vast main prayer hall. Completed in 1999, the building has become the primary place of worship for Muslims in the city. The mosque welcomes all visitors, but note you must be in proper attire: dress modestly (no shorts) and women must cover their heads. 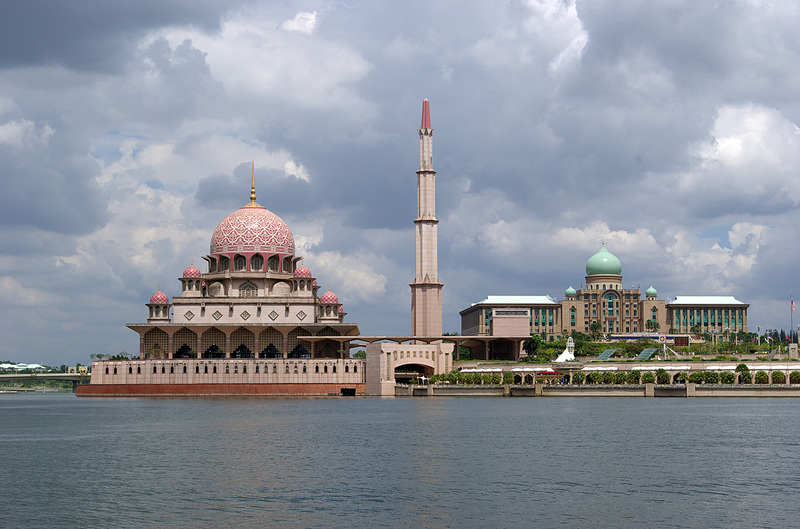 With our custom trip planner, Putrajaya attractions like Putra Mosque can be center stage of your vacation plans, and you can find out about other attractions like it, unlike it, near it, and miles away. We visited this conquerer in a beautiful Sunday in January. Modern, essential, uncharacteristically, no carpet but a clear resin floor. Even the part allocated to prayer, currently covered by carpeting, will be restored. Being open on all sides, surrounded by large basins, in case of severe thunderstorms, the carpet gets flooded and thus deteriorates. A guide kind and very prepared gave us some information. It was an interesting experience. Is located in Putrajaya, the administrative capital, about 30 km from Kuala, beautiful area with wide avenues and housing facilities very nice. Well maintained. Looks pristine even though it is already reaching 20 years old. Most structured and visitors of all religions are welcomed!! The Mosque that I love to stop if I go to Putrajaya. This place will be the must place I go. I love this place because of the strategic area. Near this place, there's a garden and Prime Minister resident. So that, U can have a beatiful view in this area. I adore the calmness in this area. So relax. This mosque is beautiful. For those who is not muslim, U may enter this mosque too with the dress given.